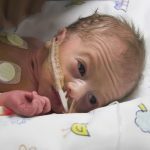 so you have just given birth to a premature baby . its a mad dash as the neonatal staff rush over to the Nicu to get your baby settled. dad as seen baby and comes back to give you a few snapshots to prepare you as you see baby coupled up to all sorts of wires and monitor leads. it wasn’t such a shock as you had a tour round the maternity hospital but seeing your baby helpless and defenceless in an incubator in still stressful. dads role supporting both the wife and a premature baby whilst working full time. so how can you support your wife if you are a dad with a premature baby that’s staying in a the nicu for a good few weeks. bring in lots of goodies even if it means face chatting her to see where everything’s kept at home such as spare breast pads, spare knicks, favourite snacks. bring in a hot flask save money on going to the snack machines. give here a break whilst she gets some rest offer to sit by baby’s incubator to bond with your baby and keep baby company. listen and ask questions about the care your baby is getting from the consultants and your baby’s own allocated neonatal nurse. your wife will want to know step by step and its a lot to take in especially as things can change day by day with baby’s direct care needs. bring in the right size premature baby clothes in low birth weight. no point nipping to a local baby shop for tiny newborn size as even these will be way too big and if you get to the hospital your wife will have a fit at you if you get them wrong. give her lots cuddles hugs she will need you as she will feel as its her fault that her body didn’t keep baby in full term.